Adopted from the Greek work “adamas,” meaning invincible, diamonds come in a wide range of colors such as black, blue, green, pink, red, purple, orange and yellow. ROUND: The most popular shape — owning nearly 75% of all diamonds sold — round cuts are considered superior to ornate shapes. At the proper reflection of light, their maximum potential brightness outshines the competition. 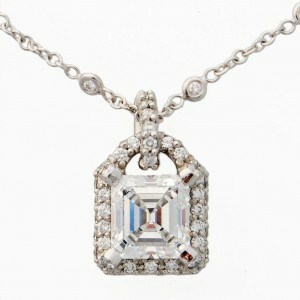 PRINCESS: The princess cut diamond is the most popular ornate diamond shape, especially for engagement rings. 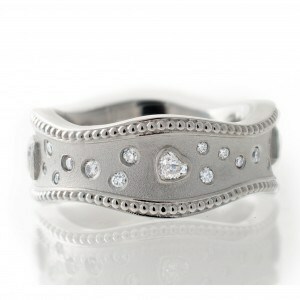 Like rounds, princess cuts are practical choices because of their flexibility in working in almost any style of ring. 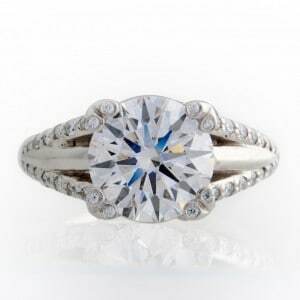 OVAL: The oval diamond has an elongated shape often creating the illusion of being a larger diamond. MARQUISE: This cut is football-shaped. Because the marquise diamond is long and narrow, it can also create the illusion of greater size. Carat for carat, the marquise diamond has one of the largest surface areas of any diamond shape. 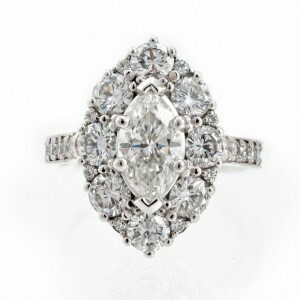 PEAR-SHAPED: The pear-shaped diamond is a combination of a round and a marquise shape, with a tapered point on one end. In a perfect world, this type of diamond should have very good symmetry, with the point lining up with the apex of the rounded end, and the shoulders and wings (the upper and lower curves on the right and left side of the diamond) should be uniform. 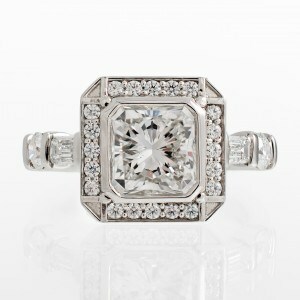 CUSHION: The cushion cut diamond combines a square cut with rounded corners, much like a pillow (its namesake!). This classic cut has been around for almost 200 years. Refinements have led to a resurgence in popularity for this lovely cut. EMERALD CUT: The emerald cut is quite unique. Although not designed to sparkle, by interchanging light and dark planes during refinement, a “hall-of-mirrors” effect is achieved — a beautiful illusion that creates extraordinary broad flashes of white light to contrast the dark planes. 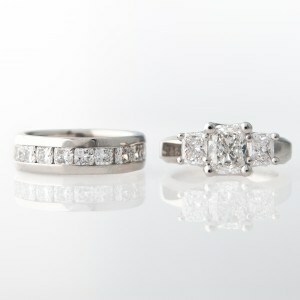 This “step cut” process varies from the more traditional “brilliant cut” method, which provides more sparkle. 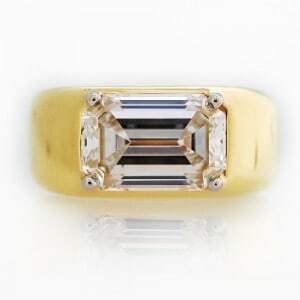 Emerald cut diamonds will make inclusions or body color easier to see. 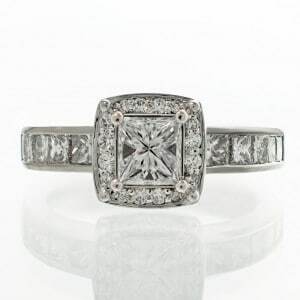 ASSCHER CUT: First produced in 1902 by the Asscher Brothers of Holland, an asscher cut diamond is similar to the emerald cut, but in a square shape with larger step facets, a higher crown, and a smaller table (the uppermost, flat surface of a diamond). This combination often produces more brilliance (sparkle!) than the emerald cut. RADIANT CUT: The radiant cut creates a vibrant and lively diamond with a modified square shape, a nice bridge between a cushion and a princess cut, making it look stunning when set with both rounded or square cornered diamonds. HEART SHAPED: There’s no mistaking a heart-shaped diamond. Popular in solitaire pendants as well as rings, heart-shaped cuts are best utilized with diamonds more .50 carats in size, since the heart shape is more difficult to recognize in smaller stones, once set in prongs. 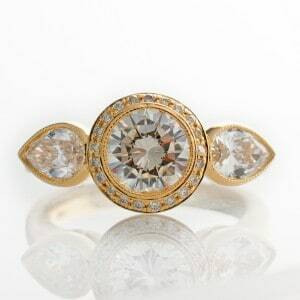 Our vision at J Briggs & Co is to create timeless heirloom jewelry, each piece capturing a story. We specialize in custom creations, as well as remounting diamonds and gemstones in a way which will preserve the integrity of the piece while giving it new life. 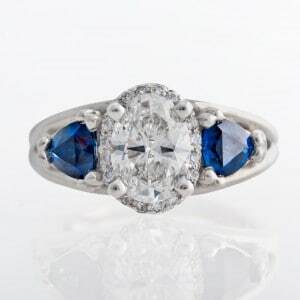 Allow us to design your exceptional jewelry to last generations. COPYRIGHT © 2014 J. BRIGGS & CO.